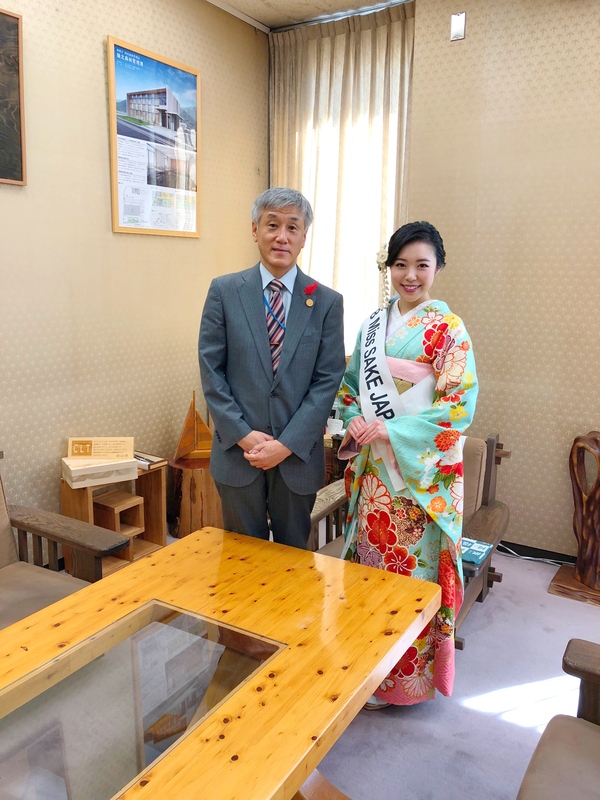 1 Asami Sudo, 2018 Miss SAKE, made a courtesy visit to the Forestry Agency, external bureau of Ministry of Agriculture, Forestry and Fisheries. 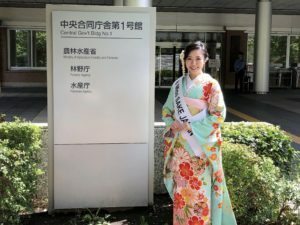 Asami Sudo, 2018 Miss SAKE, made a courtesy visit to the Forestry Agency, external bureau of Ministry of Agriculture, Forestry and Fisheries. On October 2nd, I made a courtesy visit to the Forestry Agency, external bureau of Ministry of Agriculture, Forestry and Fisheries. This time, we had an opportunity to talk with Mr. Koji Makimoto, Director-General of Forestry Agency, Mr. Koji Hongo, the Deputy Director-General of Forestry Agency and the bureau personals. The Forestry Agency, external bureau of Ministry of Agriculture integrates the administration of private forests and the various projects related to national forests through the sound growth, maintenance and the effective use of forests, which account for about 70% of our national land. Today, SAKE is usually served and sold in a bottle which is made of glass, but before the widespread of glass bottles, it used to be served in a wooden SAKE cask, which seem to be familiar with many people as a tool for Kagami-Biraki Ceremony. The lumber to make a cask has had s deep relationship with SAKE. To make a cask, a speific kind of lumber called Yoshino-Sugi, one of Japanese cedar, has been most highly valued. Some SAKE breweries keep brewing cask sake from Edo period using no cask but the high-quality Yoshino-Sugi one. However, with the times, the number of craftmen to make SAKE cask has been decreasing. 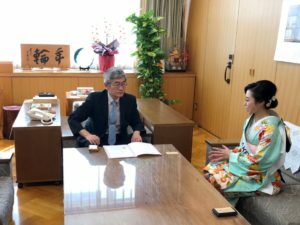 So now, we may be in the generation to once again appreciate and pass down the value of wooden products which have long been familiar with Japanese people. 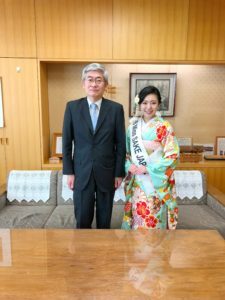 This time, we could talk about a future collaboration of the Forestry Agency and Miss SAKE as a goodwill ambassador of SAKE and Japanese culture. In fact, besides the matter of SAKE casks, SAKE has various things to do with forests. One of the most important ingredients of SAKE is water which is the benefit of forests. And wooden sake vessels such as Masu are Japanese important cultural assets. 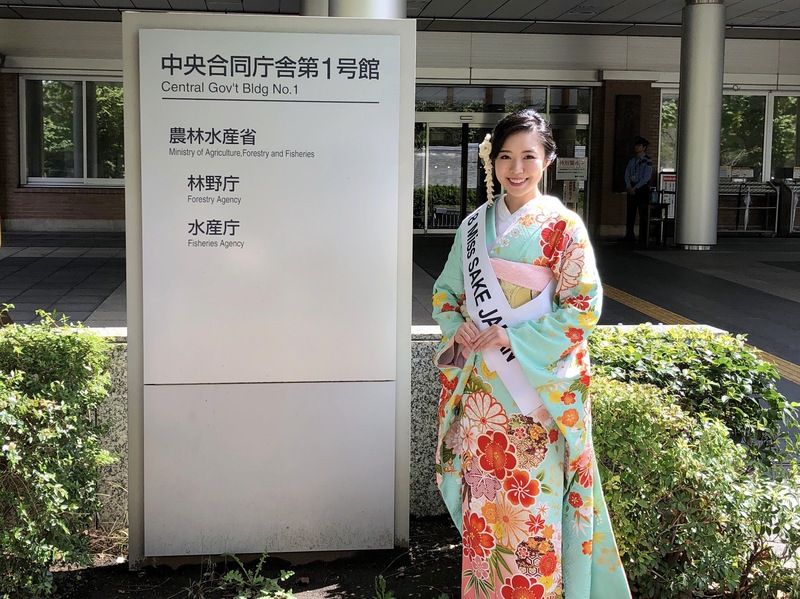 So, as Miss SAKE, we hope to continue our activities with an awareness of the issue that how we can preserve, effectively utilize and live together with the forests, which accounts for about 70% of our national land. 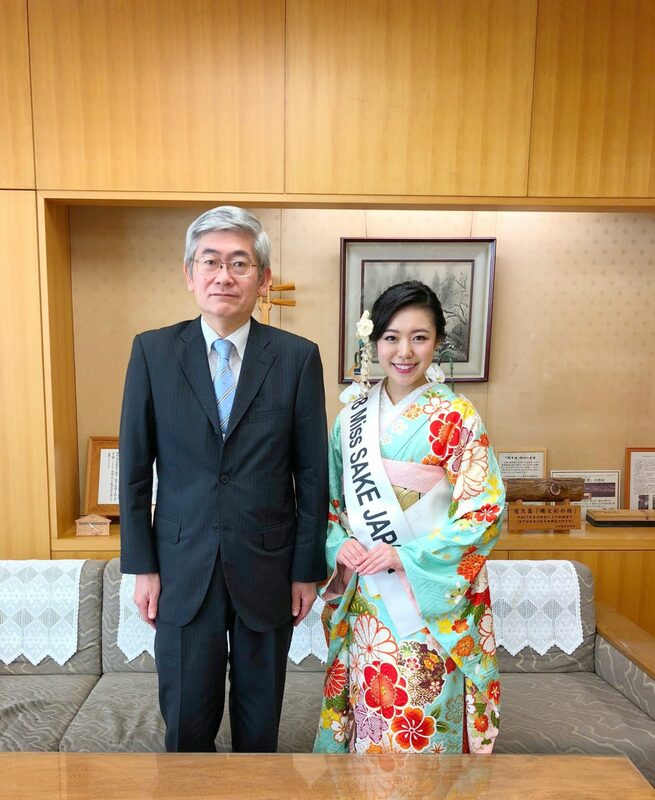 It was such a precious and meaningful opportunity for us to talk with Mr. Koji Makimoto, Director-General of Forestry Agency, Mr. Koji Hongo, the Deputy Director-General of Forestry Agency and the bureau personals. I extend my appreciation to them for making a valuable time in their busy schedules.